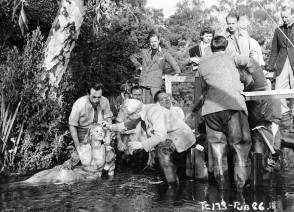 This photo was taken on the set of Hamlet (1948). 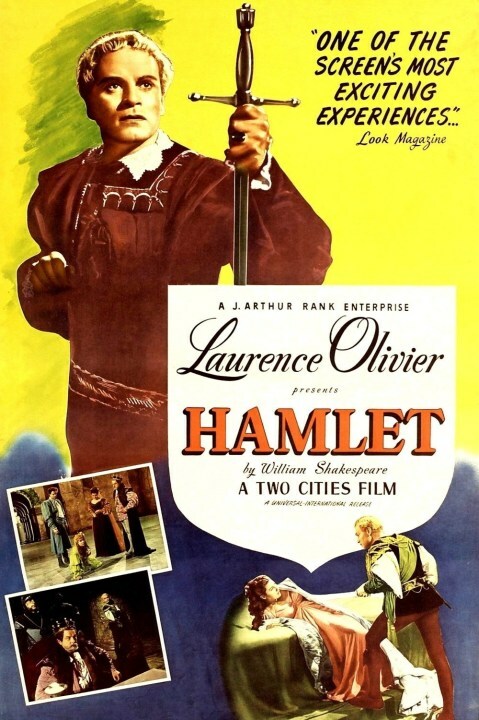 It is a British film adaptation of William Shakespeare's play Hamlet, adapted and directed by and starring Sir Laurence Olivier. The crew is preparing the set and the actress for shooting. The actress Jean Simmons is doing the scene here. She plays the role of Ophelia.